1. Double monitors & cameras mounted on bracket with ball screw and linear slider , precise & accurate movement driven by A.C. motor , micro adjustment by push button. 2. 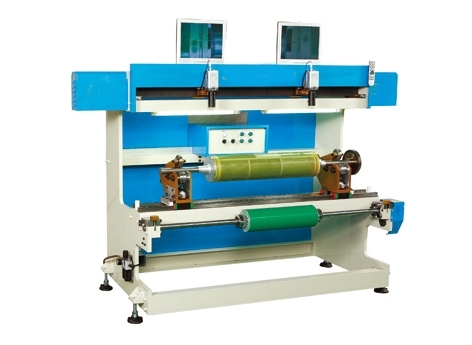 Plate cylinder setting on double bearing supporter with double linear sliders and pneumatic type pressure roller fixed to ensure perfect and exact alignment of plate mounting. 3. 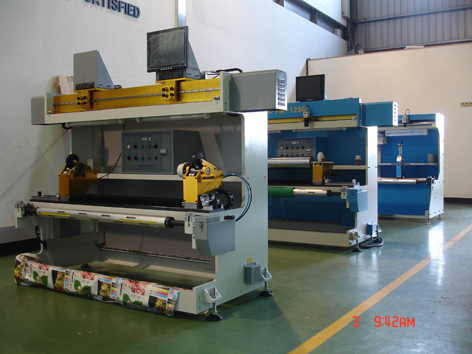 Easy changing different width of plate cylinder, the range is available from 600mm upto 1250mm. 4. Industrial computer for position control of cameras & plate cylinder.